In 2001, IBM suggested the concept of Autonomic Computing that envisioned systems with the capability to perform changes autonomously, without or with minimal human intervention, during its execution. The main properties of autonomic systems, also called self-management systems, are: self-configuration, selfhealing, self-protection and self-optimisation. There is an increasing demand for these properties among many software systems deployed in dynamically changing environments, such as smart buildings, healthcare systems, disaster management, etc. Such systems must be able to easily adapt at runtime in response to changes in their user preferences, requirements, computing infrastructure and surrounding physical environment. For this reason, these systems must be flexible, fault-tolerant, configurable and secure. Current software solutions are not adequate for developing self-management systems. 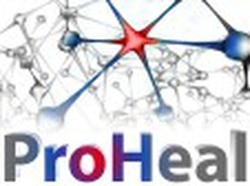 Therefore, the aim of the PRO-HEAL project is to create a piecemeal development methodology and tools for producing self-management systems on the top of Internet of Things (IoT) networks.